Conservation Land Grab in N.C.
Nearly 6,000 more acres of land in the Southern Appalachians is going to be preserved for future generations to enjoy. A deal was struck with former N.C. congressman Charles Taylor’s family and will encompass land in Transylvania County. The Carolina Mountain Land Conservancy has purchased 2,100 acres of the planned 8,000 acres that will eventually become Headwaters State Forest. The CMLC is raising funds and applying for grants to help fund the purchase of the rest of the acreage, which could take up to four years. 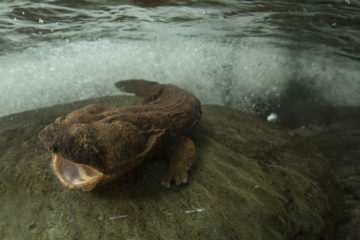 The Nature Conservancy has also purchased 4,000 acres in Tennessee to be added to Cherokee National Forest and Great Smoky Mountains National Park. That project is called “Bridging the Smokies.” Every little bit counts! Natural Bridge to be National Park? 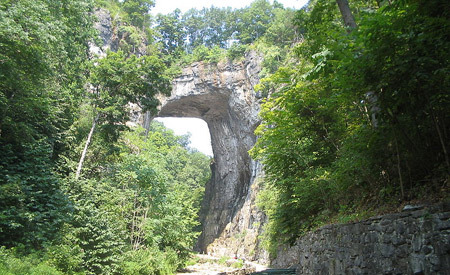 Speaking of conservation land grabs, there appears to be a movement pushing for Virginia’s Natural Bridge to become a national park. Despite it’s natural uniqueness, the property is privately owned but is up for sale for the third time in 25 years. Although the bridge is designated as both a Virginia and national historic site, this changing of hands has understandably made the public nervous about its future. As it stands, Natural Bridge is something of a tourist trap, with a hefty entry fee and the usual gift shop tawdriness – there is also an inn, conference center and 1,600 acres of undeveloped property. So Rep. Bob Goodlatte has asked the National Park Service to take a look at the property to determine if the site is suitable for a national park. This is only a study, and the first step in a long process, but it seems to be a step in the right direction for the state of Virginia and the country. Six Great Smokies National Park Backcountry Campgrounds have been closed until further notice due to bear activity in the area. Lower Walnut Bottom campsite 37, Mount Sterling campsite 38, Upper Walnut Bottom campsite 36, Beard Cane campsite 11, Ottercreek campsite 29, and Sugar Cove campsite 34 are all closed until further notice. On a side note, viewing the list of developed campgrounds that are “closed due to budgetary shortages” is fairly depressing, and include some of the most popular spots in GSMNP. Abrams Creek, Balsam Mountain, and Look Rock campgrounds are all closed, with no reopen dates, due to monetary contraints. That being said, still plenty of places to sleep in the park, so don’t hesitate to get out there, just call ahead as usual.